Bank of India has informed that in accordance with section 3(2A) of the Banking Companies (Acquisition and Transfer of Undertakings Act) 1970, Government of India after consultation with the Reserve Bank of India has increased the Authorised Capital of the Bank from existing level of Rs. 1500 Crore to 3000 Crore vide its notification dated November 10, 2009, through official Gazettee. Further the Bank has informed that, the Board of Directors of the Bank, at its meeting held on December 21, 2009 has taken note of the same. दीप इंडस्ट्रीज लिमिटेड ने सूचित किया है कि कंपनी जीएसीएल, निर्दिष्ट दुकानों में प्राकृतिक गैस और संपीड़ित प्राकृतिक गैस के वितरण के संपीड़न के लिए दाहेज से 3 वर्ष की अवधि के लिए आगे अनुबंध के विस्तार के लिए पुरस्कार के पत्र प्राप्त किया है. लगभग. अनुबंध के समुच्चय के रुपये मूल्य. 50.00 लाख. Deep Industries Ltd has informed that the Company has obtained Letter of Award for extension of Contract for further period of 3 years from GACL, Dahej for compression of natural gas and delivery of compressed natural gas at the specified outlets. Approx. value of contract aggregates to Rs. 50.00 million. Deutsche म्युचुअल फंड निम्नलिखित योजनाओं के लिए दैनिक लाभांश विकल्प के अंतर्गत लाभांश की घोषणा की है. रिकॉर्ड तिथि 29 दिसम्बर 2009 के रूप में निर्धारित किया गया है. Base metals are expected to witness volatility next year. In addition, prices likely witness a sharp fall in the first quarter followed by a steady and sustainable recovery towards the end. Besides, copper and zinc may become the hot pick for 2010. According to Praveen Singh, an analyst with Sharekhan, massive inventories due to the emergence of low Chinese demand would pull base metals from the current level as the dragon’s stockbuilding is unlikely to rise in the future. China, the world’s largest consumer of base metals, has slowed down investment on infrastructure. Copper inventory on the LME-registered warehouses, increased sharply at 495,000 tonnes, a just 40,000 tonnes lower than the all-time high level during the last recessionary period. Aluminium and nickel stocks are ruling on the top while lead and zinc are marginally lower than their record highs. This gives a fair indication that an imminent change to the tune of 25-30 per cent is due in base metals quarters, Singh hoped. हालांकि, आंशिक रूप से परिवर्तनीय रुपया 46.76/77 प्रति डॉलर पर था, मंगलवार को अपने 46.66/67 भाव से कमजोर. मजबूत टोन इसे हाल ही में अमेरिका की दरों के लिए दृष्टिकोण के बारे में भावना स्थानांतरण पर विकसित की है रखते हुए, डॉलर के दो येन के खिलाफ उच्च महीने में आयोजित किया. Tracking lower Asian peers and losses in other regional share markets which will set the tone for the domestic stocks, the rupee opened weaker. However, the partially convertible rupee was at 46.76/77 per dollar, weaker than its close of 46.66/67 on Tuesday. Keeping the firmer tone it has developed recently on shifting sentiment about the outlook for U.S. rates, the dollar held at a two-month high against the yen. Meanwhile, the MSCI index of Asian stocks ex-Japan was 0.5% lower and Nifty India stock futures traded in Singapore were down 0.1%, suggesting a flat to lower start to the Indian market. On the other hand, it is said that some month-end dollar demand from refiners and importers was expected to weigh on the rupee later in the session. The next year may be a year of mergers and acquisitions for the mutual fund industry. However, several small asset management companies are now looking to cash out due to increasing costs and squeezed margins post the entry load ban and many big fund houses are searching to grow their AUMs inorganically. Meanwhile, it is said that new players are also in the race eyeing an easy entry into the asset management space. Sudip Bandyopadhyay, director of Spice Finance stated that they are looking at acquiring a mutual fund and there are 2-3 proposals on the table while all this should be in place before end of March. Getting an asset management license from market regulator Sebi is a deadly and expensive affair hence new entrants such as Spice group and Dhanlakshmi Bank are eager to opt for the inorganic route. So are global majors like Vanguard, Schroders and Japan's Niko. Several existing fund houses like Religare and Axis mutual fund also hope to grow their AUMs by this route. On the other hand, are fund houses like Sahara, ING and Shinsei mutual funds, who hope to cash out. Recent deals in the mutual fund space have taken place at mouth watering valuations with the DBS Cholamandalam and L&T Finance deal at just 1.55% of assets under management. For an initial public offering of Rs 7,200 crore, Jindal Power (JPL) announced the filing of its draft red herring prospectus where it is the largest since the Rs 11,500-crore IPO of Reliance Power in January 2008. However, JPL is mobilizing the funds for brownfield expansion at Raigarh in Chhattisgarh while JPL plans to more than double its production capacity to 2,400 MW with an investment of about Rs 13,410 crore. The project is likely to be finished in 2012-2013 while the company has captive coal-mines and plants. Meanwhile, the shares of the company are proposed to be listed on both the BSE and NSE while of the Rs 18,407 crore raised through IPOs in 2009, 4 power sector issues contributed Rs 12,756 crore. These include NHPC''s Rs 6,039-crore issue and JSW Energy''s Rs 2,700-crore issue. Cardamom prices jumped 50 per cent in the last two months due to a decline in the global production. In the Mumbai spot market, the ultra size quality (8mm bold) cardamom was quoted at Rs 1,025-1,040 a kg while the medium (7mm) and common (6mm) varieties were sold at Rs 950 a kg and Rs 900 a kg respectively. The quality of cardamom is determined by its size. On the Multi Commodity Exchange (MCX), the commodity for delivery in January 2010 increased 48 per cent to Rs 1,104.10 a kg on Monday as compared with Rs 746.70 a kg as on October 29. Birla Sun Life Mutual Fund has decided to revise the exit load structure for switch outs in its various open ended equity schemes effective from December 31, 2009. Accordingly, the exit load for switch outs made for any designated equity scheme (A) to any other designated equity scheme (A)* will be applicable as mentioned for the respective scheme as compared to nil exit load applicable earlier. Similarly, the exit load charge as applicable to the respective schemes will be payable for switch outs made from any designated equity scheme (B)# to any other designated equity scheme (A) and visa vis compared to nil exit load applicable earlier. *The designated equity scheme (A) - Birla sun life new millennium fund, Birla sun life '95 fund, Birla sun life freedom fund, Birla sun life frontline equity fund, Birla sun life Midcap fund, Birla sun life international equity fund, Birla sun life special situations funs and Birla sun life infrastructure fund. टर्मिनल खोलने, रूसी प्रधानमंत्री व्लादिमीर पुतिन ने कहा, "यह रूस के लिए एक महत्वपूर्ण घटना है और एक महत्वपूर्ण परियोजना है, जो हमें एशिया के बढ़ते बाजार प्रशांत क्षेत्र में प्रवेश करने में सक्षम बनाता है।"
Russia on Monday inaugurated a new oil export terminal at Kozmino port in its far east. Opening the terminal, Russian PM Vladimir Putin said, "It is an important event for Russia and a strategic project, which enables us to enter the growing markets of the Asia-Pacific region." Russia has sought to diversify its energy exports, which until now have been mostly bound for Europe. Putin said it cost 60 billion rubles (about $2 billion) to build the Kozmino terminal. Kozmino is the destination point of a new pipeline that will pump crude from huge oilfields in eastern Siberia. The second leg stretching from Skovorodino to Kozmino, another 2,100 kilometers (1,300 miles) east, is still being built, and until its completion the oil will be carried there by rail. The committee of Gati has approved the allotment of 2,78,850 equity shares to the eligible employees on exercise of stock options under Employees Stock Option Scheme of the company. This was approved at the committee meeting held on 24 December 2009. Reliance Mutual Fund has declared Quarterly dividend under Reliance Interval Fund - Series I (for both regular and institutional fund). The record date for the dividend has been set as December 31, 2009. The fund house has decided to distribute 100% of distributable surplus as on the above mentioned record date, on the face value of Rs 10 per unit for investors. Reliance Interval Fund is a debt oriented interval scheme with an objective to generate income through investments in a portfolio of debt as well as money market instruments. Prime Minister Manmohan Singh was requested by Himachal Pradesh to extend till 2020 the special industrial package given to the State for its unhampered growth. However, the special package was provided for 10 years to Himachal Pradesh, Jammu and Kashmir and Uttarakhand by the NDA government in 2003. Panacea Biotec Ltd has informed that a meeting of the Board of Directors of the Company will be held on December 30, 2009, inter alia, to consider and approve the buy-back of its Equity Shares pursuant to the applicable provisions of Companies Act, 1956 and SEBI (Buy-back of Securities) Regulations 1998. Lower than Rs 217.10 crore on 22 December 2009, mutual funds (MFs) bought shares worth a net Rs 101 crore on 23 December 2009 where the net inflow of Rs 101 crore was due to gross purchases Rs 823.70 crore and gross sales Rs 722.70 crore. However, the BSE Sensex rose 539.11 points or 3.23% to 17231.11 on that day whereas MFs sold shares worth net Rs 1860.90 crore in December 2009 and had sold shares worth a net Rs 695.60 crore in November 2009. At a time when the global; economies are facing major hardships, the only thing people are banking on is gold. As a result of recession, people are increasingly depending on gold to get cash. So, a growing gold trend has begun to surface: Getting cash for gold. Sellers are now flocking to cash for gold resources, including pawn shops, gold dealers, and jewelers. But, the amount of cash for gold offered by these middlemen entities is far below market value. Many individuals are unaware that the money they receive for selling gold jewelry is far from what they could earn elsewhere. AAA Gold Exchange is an online jewelry buying store, offering cash for gold, silver, and platinum jewelry at a rate that is highly competitive with other cash for gold resources. In sync with other firming Asian currencies, the rupee rose by 12 paise to 46.75 a dollar in early trade. Dollar''s losses against other Asian currencies and hopes of increased capital inflows by funds into equity market mainly supported the rupee. The rupee, however, had ended 7 paise lower at 46.87/88 in previous trade. The committee of Redington India has approved the allotment of 20,250 equity shares of Rs. 10 each at a premium of Rs. 120 per share pursuant to exercise of options granted under Redington (India) Employee Stock Option Plan, 2008. This was approved by the committee of directors on 23 December 2009. 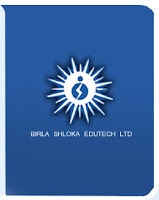 Birla Shloka Edutech Ltd has informed that the Members of the Public Issue Committee of the Board of Directors of the Company at its meeting held on December 23, 2009, have approved and taken on record, the Red Herring Prospectus to be filed with the ROC. Further, the Committee has also decided that the Issue will open on January 11, 2010 and close on January 13, 2010. JM Financial Mutual Fund has declared dividend under daily, weekly & fortnightly dividend option for JM Floater Fund - Long Term Plan as well as JM Money Manager Fund, JM Short Term Fund, JM Floater Fund - Short Term Plan and JM High Liquidity Fund. The record date for the dividend has been set as December 22, 2009. Wartsila is a leading provider of flexible decentralized power generation solutions. It has been awarded an operations and maintenance contract by the Vendanta group company, Hindustan Zinc. However, the contract covers the complete operation and maintenance of the entire coal-fired power plant. Global Vectra Helicorp Ltd has informed that a meeting of the Board of Directors of the Company will be held on December 31, 2009, inter alia, to consider Increase in Authorised Share Capital and issue of Preference Shares. Aegis Logistics acquired the entire shareholding of Shell Gas (LPG) India (SGLIPL) along with its existing gas business. However, the acquisition will be subject to conditions precedent, regulatory approvals and the provisions of the Companies Act. Meanwhile, SGLIPL has a gas infrastructure facility at Pipavav Port and filling plant in Gujarat. On 22nd Decmeber, Canada''s biggest engineering and construction firm, SNC-Lavalin Group Inc. announced that it has acquired Marte Engenharia Ltd, a leading Brazilian engineering firm with about 1,000 employees. Marte Engenharia serves the power industry in Brazil and Latin America, with particular expertise in the design of high voltage transmission lines and electrical substations. Financial terms of the deal were not disclosed. "We are very pleased to welcome Marte to the team," said Cindy Andrew, senior vice-president and general manager of SNC-Lavalin''s Transmission and Distribution division. "With the additional expertise of our Brazilian personnel, we have further strengthened our team of transmission and distribution experts, and our position in Brazil''s strong and growing economy," Ms. Andrew said. "We look forward to continuing to deliver major transmission line and substation projects worldwide." 1. Re-classification of the existing Authorized Share Capital of the Company. 2. Issue of warrants on preferential basis to promoters, their relatives and associates and other persons/entities. China’s corn imports dropped to 16,919 tons this November which is 9.28 percent less than last November, said General Administration of Customs. In a statement issued here, the GAC said during the period from January to November, China imported 49,765 tons of corn, 22.92% more year on year, and exported 93,294 tons of corn, 56.51% less year on year. According to statistics on Dec. 18 released by the Ministry of Agriculture, the average wholesale corn price in corn production areas was 1,712 yuan per ton last month, 1.9% lower than a month earlier, and the average wholesale price in sales areas climbed 1% month on month, hitting 1,974 yuan per ton. Reportedly, China is expected to produce 157.5 million tons of corn this year, 5.1% less than last year. The estimated corn output amount is principally dragged down by bad weather. In June, China's Heilongjiang Province, Jilin Province and East Liaoning suffered wet weather and low temperatures, and in August, Northeast China suffered from severe drought. Planning Commission Deputy Chairman Montek Singh Ahluwalia stated that food prices will start lessening from next month. However, the situation suggests dysfunction in distribution as retail prices have risen more than wholesale prices and import cannot be done without subsidy as international prices are higher. Meanwhile, it''s a complex situation and cannot be corrected with monetary polices ... prices built up is on speculation post drought. Stocks of cereals are sufficient and prices can be moderated and it will be from January while the rise in food prices was a great matter of concern. On the other hand, food inflation rose to almost 20% during the first week of December, due to higher prices of potato, other vegetables and pulses. The committee of Mastek has allotted 1,429 equity shares under ESOP and the paid-up share capital has subsequently increased to Rs. 13,46,04,195. These shares were allotted at the committee meeting held on 22 December 2009. Siemens produced its first 145kV gas insulated switchgear (GIS) from its recently inaugurated GIS factory at Aurangabad. However, according to A. K. Dixit, CEO (energy sector), South Asia, there is huge potential for GIS products in India as the power sector is growing at a very fast pace and there is a shortage of land. Due to anticipations of fresh capital inflows into equity markets in sync with firming trends on other Asian markets, the Indian rupee increased by 4 paise against the US currency in early trade. However, at the Forex market, the local unit appreciated by 4 paise to 46.81 a dollar while the rupee ended 13 paise lower at 46.85/86 in yesterday. Meanwhile, expectations of fresh capital inflows into domestic equities by foreign funds, which may open higher in tandem with other Asian markets mainly supported the Indian rupee. Quantum Mutual Fund has decided to offer the units of Quantum Long Term Equity Fund, Quantum Tax Savings Fund and Quantum Equity Fund of Funds for purchase / redemption on Bombay Stock Exchange (BSE) as well as National Stock Exchange (NSE) effective from December 21, 2009. This facility i.e. purchases / redemption of units will be available to both existing and new investors. However, the switching of the units will not be permitted. Wipro Technologies, the global IT services business of Wipro, entered into a partnership for out-tasking of testing services with Telefonica O2, Germany. It is a European telecommunications company and this partnership will involve Wipro Germany supporting the testing operations of O2 and providing process improvement. Housing Development Finance Corporation Ltd (HDFC) has informed that the Corporation on December 21, 2009 has allotted 44,879 equity shares of Rs. 10 each pursuant to exercise of stock options by employees. Post the above allotment, the paid-up equity share capital of the Corporation would stand at Rs. 285,85,52,670.00 consisting 28,58,55,267 equity shares of Rs. 10 each. CMC Ltd has informed that the Board of Directors of the Company at its meeting held on December 09, 2009, re-appointed Mr. R. Ramanan as Managing Director & CEO of the Company for a further period of three years four months approximately with effect from December 13, 2009 to April 30, 2013, subject to the approval of the Members. Kanohar Electricals Ltd has informed that the members at the Extra Ordinary General Meeting (EGM) of the Company held on December 17, 2009, inter alia, have passed the resolution for appointment of M/s. Sunil Ram & Co., Chartered Accountants, Meerut as Auditors of the Company to fill up the casual vacancy caused by the resignation of M/s. S. S. Gupta & Co., Chartered Accountants, Meerut; until the conclusion of next Annual General Meeting of the Company on remuneration, terms & conditions. Sakuma Exports Ltd has informed that one of the promoters of the Company namely M/s. Sakuma International Marketing Pvt. Ltd., has purchased 30000 Equity Shares of Sakuma Exports Ltd. from the market at an average price of Rs. 15.05 per Equity Share at N.S.E. The Company may add that total holding of Sakuma International Marketing Pvt. Ltd. of Equity shares is 1676971 + 30000 = 1706971 Equity Shares. Torrent Power Ltd has informed that the members of the Company, by way of Postal Ballot, have passed the Special Resolution for approving the appointment of Shri Jinal Mehta in the Company, pursuant to the provisions of Section 314(1B) of the Companies Act, 1956 read with the Directors Relatives (Office or Place of Profit) Rules, 2003, with requisite majority. Ushdev International Ltd has informed that the Board of Directors of the Company at its meeting held on December 17, 2009, has transacted and approved the following items of business. 1. Approved the issue of 31,43,000 no. of Equity Shares at a price of Rs. 176 per share (including premium of Rs. 166 per share) to promoters and investors on preferential basis. The issue price has been decided on the basis SEBI (ICDR) Regulations. 2. Approved the increase in authorized share capital. 3. Approved the convening of EGM. The FIIs on Friday stood as net buyers in equity and net sellers in debt. Gross equity purchased stood at Rs 2,534.60 Crore and gross debt purchased stood at Rs 277.60 Crore, while the gross equity sold stood at Rs 2,045.50 Crore and gross debt sold stood at Rs 772.50 Crore. Therefore, the net investment of equity and debt reported were Rs 489.10 Crore and Rs (495.00) Crore respectively. Wipro has partnered Ariba, inc. which is a leading spend management solutions provider, in order to help companies across India boost their spend management initiatives. However, Wipro will leverage Ariba''s on-demand sourcing solutions in order to help its clients drive procurement process efficiencies and savings that optimistically impact their bottom line. Seamec Ltd has informed that pursuant to resolution passed by the Directors of the Company the Accounting year of the Company is now changed to end on 31st March of every year. Accordingly, the present accounting year which ends on December 31, 2009 is extended for a further period of three months to be ended on March 31, 2010. Kabra Extrusiontechnik Ltd has informed that the Company has been ranked at 101st position among the Top 500 Manufacturing SMBs for its superior financial performance for the year 2007-08 in the Fourth Annual Report of Industry 2.0 Magazine released on October 2009. The last ranking as per its Third Annual Report was 263rd based on performance of financial year 2006-07. Mr. Rathi Binod Pal is appointed as Whole Time Director of the Company with effect from December 17, 2009. Brandhouse Retails Ltd has informed that the members of the Company by way of Postal Ballot have passed the Special Resolution under Section 314 (1B) of the Act for increase in the remuneration payable to Ms. Anjani N. Kasliwal, Vice-President (Luxury Brands) and for her holding and continuing to hold an office of profit in the Company, by requisite majority.